Unfortunately, there are many statistics of teenage drunk driving, and they are both frightening and preventable. Understand the statistics on why teenagers drink, how that leads to them getting behind the wheel and the deaths this could cause. Why Do Teens Drink and Drive? Teens that are stressed out are twice as likely to use alcohol according to The National Center on Addiction and Substance Abuse. They are also starting to use alcohol sooner if they are stressed. According to the study, they are starting to drink as early as 12. Peer pressure is another leading cause of teen drinking. This is because peer pressure is a major contributor to risk-taking behaviors and some teens even think that risk-taking behavior is expected of them. Teens want to fit in and be like others at a party so they will be more likely to drink. According to a study posted in Alcoholism: Clinical and Experimental Research, teens that view their friends drinking on social media are more likely to try the behavior themselves. Much like peer pressure, when you see your friends doing risky behavior through pictures on Instagram or stories on Snapchat, teens are likely to try the behavior themselves. Even though the drinking age is 21, alcohol is available to teens. It's found that it's easier for girls than boys to get alcohol but both age groups can get their hands on it at fairly young ages. Many times, children get alcohol from their parents without them knowing. This happens in about 2 out of 3 cases. Curiosity and the lack of impulse control tend to lead children in some of their behavior. This is due to the developing brain in a teenager. Unlike an adult, they need guidance to lead their curiosity in the right direction. If not, it can lead to destructive behaviors like drinking. Mass media along with misinformation among teenagers can lead teens to believe that underage drinking is all right. Additionally, parents allowing their kids to have a drink or two with them or just a sip could lead teens to think they can handle drinking. However, their lack of brain development and the altered state contributes to risky behaviors like driving while under the influence. The statistics of teenage drunk driving generally fall into one of three categories. Exploring these categories in depth can show patterns found in teen drinking and driving. For all teens, the risk of involvement in a motor vehicle accident is greater than it is for older drivers, stated the CDC. In other words, teens who drink and drive are more likely to get into an accident than if their parents drink and drive. In fact, a teenage boy with a .08 blood alcohol concentration is 17 times more likely to suffer an accident than a teen who does not drink stated CDC Vital Signs. 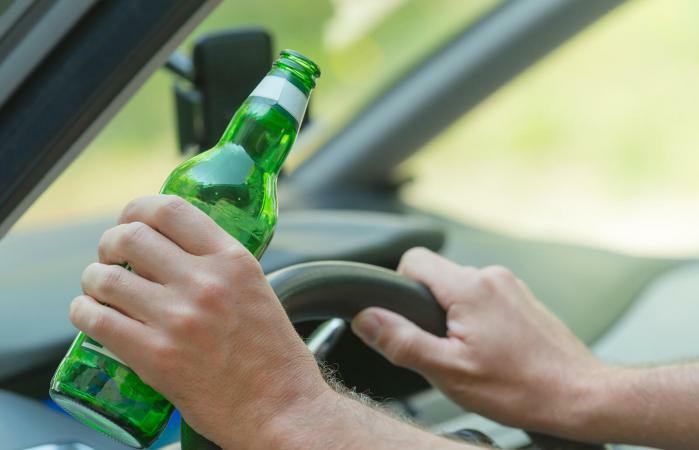 About 58% of drivers that were killed in a crash resulting from drinking and driving were not wearing their seatbelts according to the CDC. A study showed that 30% of teens admitted to riding with a drunk driver in the last 12 months. More than 90% of the alcohol consumed by teens is due to binge drinking, according to the CDC Fact Sheet. Males are twice as likely to be involved in a car crash and consume more alcohol than women. Drunk teens getting behind the wheel of a car are dangerous. Take a look at statistics to understand how dangerous. Teens are more likely to engage in dangerous situations and hazardous circumstances. A CDC study states that teens are more likely to speed and allow shorter distances between their vehicle and the car in front of them. Drinking would clearly exaggerate this problem. Statistics show that teens drink and drive 2.4 million times in a month, according to CDC Vital Signs. When drunk teens get behind the wheel deaths can and do happen. Understand the statistics of this deadly decision. 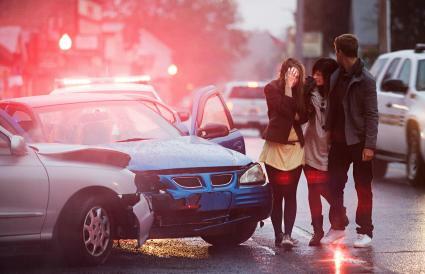 About half of the deaths from motor vehicle accidents happen between 3:00 P.M. and midnight. Moreover, 53% happen on a Friday, Saturday, or Sunday stated the CDC. According to CDC Vital Signs, 1 in 5 teens that die in accidents have some alcohol in their system. There were more than 118,000 emergency room visits by teens from alcohol-related incidents (CDC Fact Sheet). There is no reason why a teen should drink and drive. There are always other things that can be done rather than getting behind the wheel. Don't let peer pressure or other influences affect the decision to not drink and drive. While part of being a teen is making mistakes and growing up, drunk driving is a mistake that you may have to carry with you for the rest of your life.